"At Orlando Shakespeare Theater, we use Microsoft, Adobe, and Norton applications through TechSoup. Without the ability to find these titles here, we wouldn't be able to afford the software that we need to keep the business running." 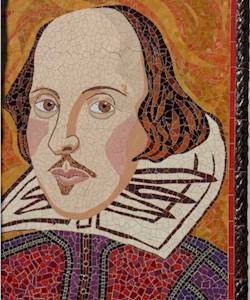 The Orlando Shakespeare Theater (OST) creates theater of extraordinary quality. It encourages the actor-audience relationship, passionate use of language, and imagination. Using Shakespeare as its inspiration, OST produces professional theater, develops new plays, and provides innovative education experiences that enrich the community. Among those innovative education experiences is the Orlando Shakespeare Theater's partnership with the University of Central Florida (UCF). The theater provides a thriving MFA and internship program that gives UCF students unique opportunities to fulfill the undergraduate Bachelor's of Fine Arts requirements. UCF faculty and students also have the chance to participate within the theater as designers, festival project directors, and actors. Third-year Masters of Fine Arts students in the acting program work during their final school year at the theater to prepare for professional careers. This partnership gives students the ability to gain valuable professional experience that they can add to their resume. The Orlando Shakespeare Theater needed software to help with tasks like tracking ticket purchases, creating playbooks, and editing. Through TechSoup, the theater was able to obtain much-needed Microsoft and Adobe software.